About 30 years ago, incompetence, opacity and cronyism came together in one place at one time in a spectacular explosion that shook the entire world and changed this planet together. 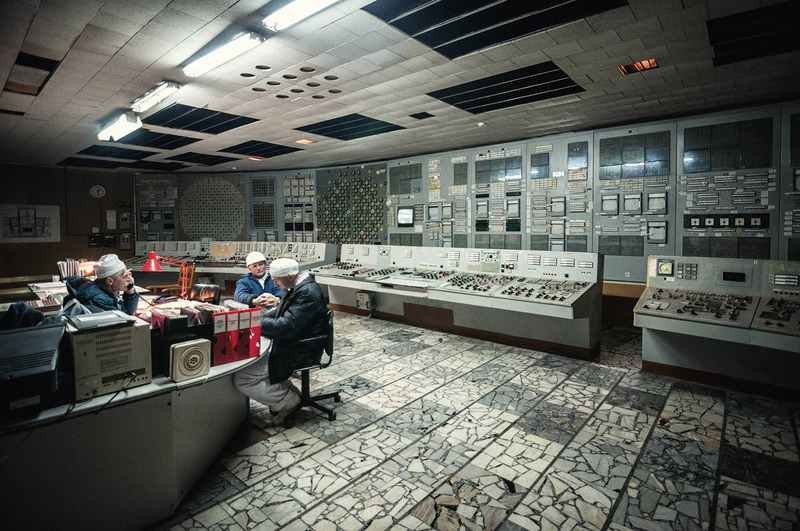 It was the cheaply Soviet made Reactor 4 of the Chernobyl Nuclear Power Plant, ran that night by inexperienced people, that suffered a chain of conventional explosions, to shoot out radioactive steam that would pollute all of Europe. Those were the times of the Cold War – the great struggle between the two superpowers that defined the character of the twentieth century. 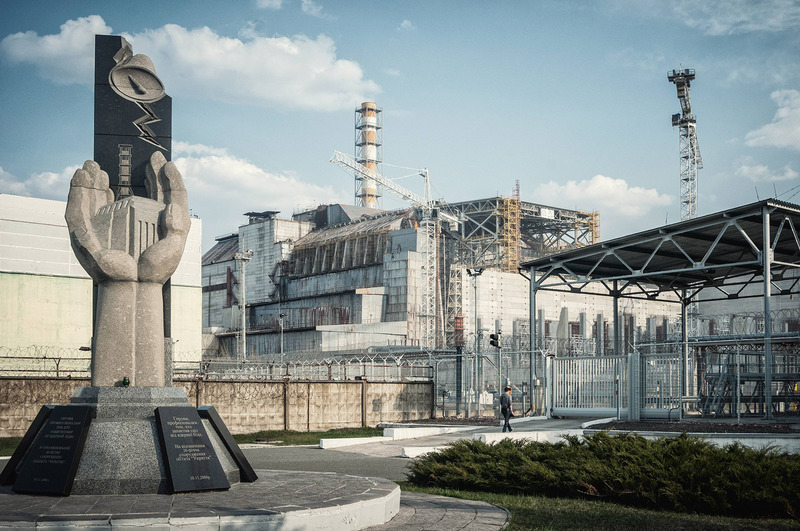 And uncomfortably close to the plant stood a secret Soviet wonder, hiding behind an inconspicuous name of Chernobyl-2, and disguised in maps as a kindergarten  the monstrous steel construction called Duga-1. 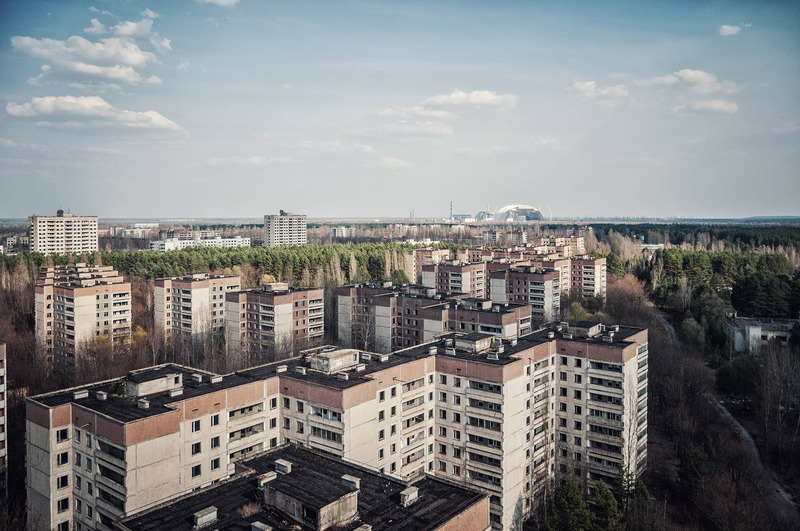 An object of that size (14.000 tonnes, almost 50 storeys tall) cannot, naturally, remain hidden forever, especially when it could be easily seen from the tall, grey socialist blocks of flat of Pripyat, the model Soviet city, church-less, that was home to the staff of the Chernobyl Nuclear Power Plant. But its real purpose remained a mystery. Was it to simply disturb radio communication? “The purpose of it”, some would say, “is to spread communist propaganda.” “It’s to control weather”, would say others. Duga-1 was powerful and inconsiderate. In fact, it was so powerful, that the radio waves it emitted would disrupt radio and TV shows worldwide, resulting in thousands of complaints from all around the globe, all of which were ignored. The noise it produced earned a nickname  Russian Woodpecker. NATO had its own ideas, and nicknamed the structure Steel Yard. 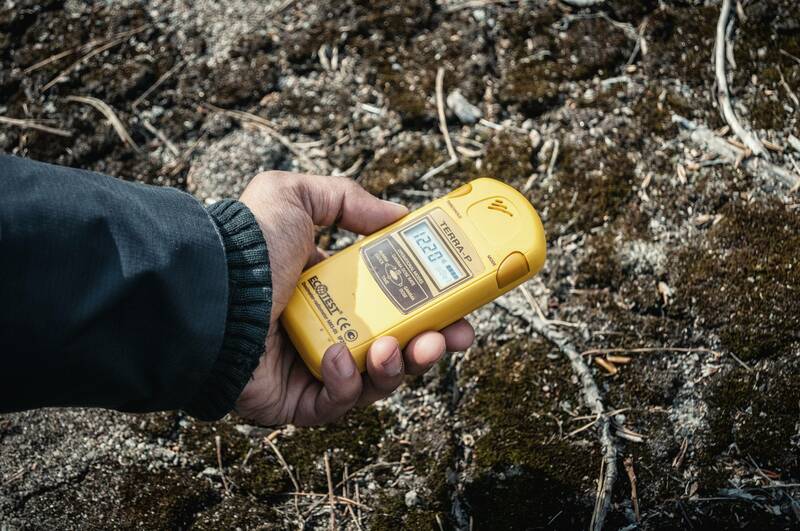 At the time, after all, both the USSR and the USA lived in a constant fear of nuclear warfare, and as the standoff continued for decades, technology was employed to alleviate one’s paranoia while aggravating that of the enemy. 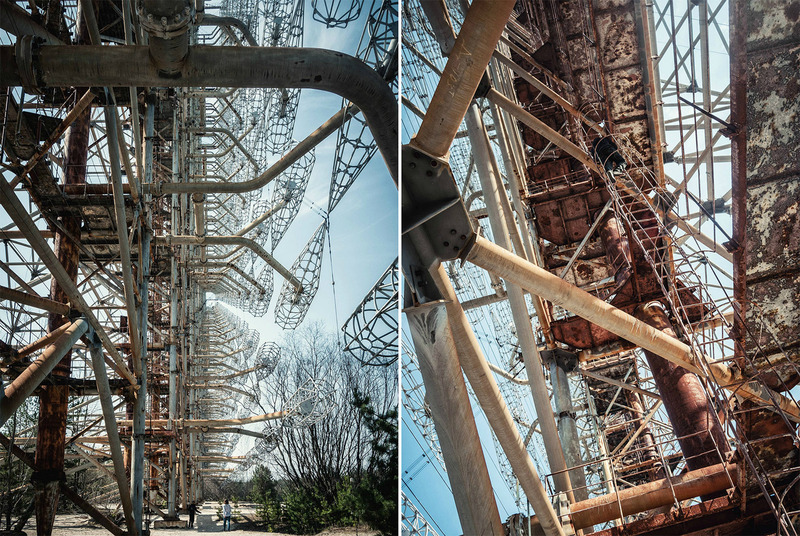 The enormous metal skeleton of Duga-1, well above the lines of trees, had an important role to play in that big game – that of being an over the horizon (OTH) radar, meaning to watch the States across the northern polar coverage, to early detect ballistic nuclear missiles launched from the US, so that the USSR could immediately retaliate and show off their own arsenal, the two countries thus resetting our progress back to the stone age. 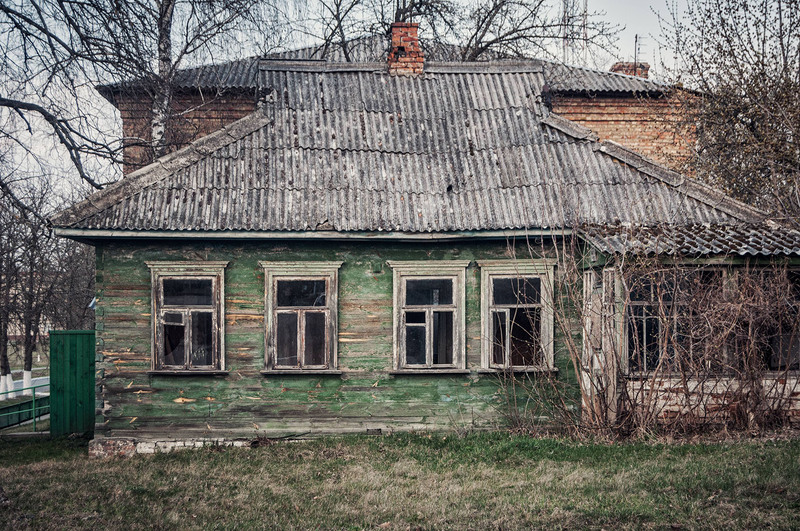 Might the same that happened to the people of Chernobyl have happened to us? With modern software riddled by bugs, one has to wonder: What if one of those early warning system got it wrong? Or were they perfect and error-free, given we’ve managed to avoid a nuclear holocaust and you’re not reading this article on your stone tablet? As it turns out, those system did get it wrong. The timing could not have been worse. It was an incredibly tense period in the US-USSR relationships, as the Soviets had just shot down a South Korean passengers plane. And then one of the Soviet early warning systems went off. There they were, nuclear missiles launched from the USA, about to erase Moscow from the face of the earth, and cake it with nuclear fallout for decades to come. The rules of mutual assured destruction (MAD) are simple – when attacked, destroy the enemy. And yet, nothing happened. Meet the man who saved the world, Stanislav Petrov. He was the duty officer and it was his job to inform his superiors of the incoming American attack. Which is exactly what he didn’t do, because he trusted his instinct, gambled, or deduced that this could not have been happening. As he stood there petrified, so did the Soviet missiles, they remained equally motionless during the long minutes of nervous waiting, until it finally became obvious there were no American missiles fired at the USSR, after all. Doing absolutely nothing, Petrov saved the world. Later, it was established that it was, indeed, a software error occurring under certain weather circumstances, and the system was fixed. 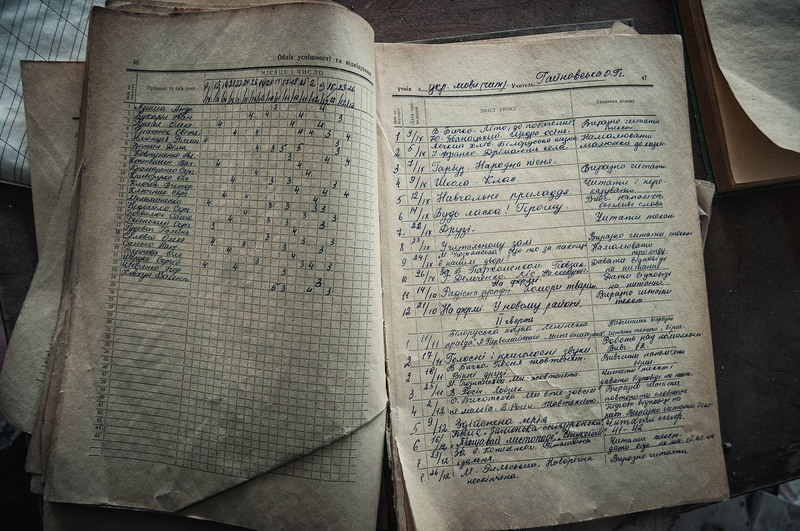 Petrov was not rewarded by the USSR military. Instead, he was reassigned to a less sensitive post, and then suffered from a nervous breakdown. The system that gave the false warning is still in use. But not Duga-1. 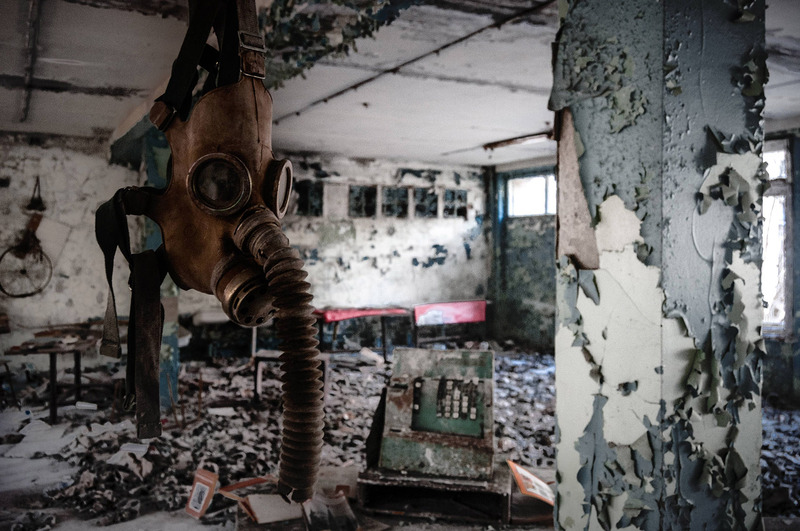 Contaminated in the 1986 Chernobyl disaster, decontaminated, it burped its last in 1989 and went silent forever. 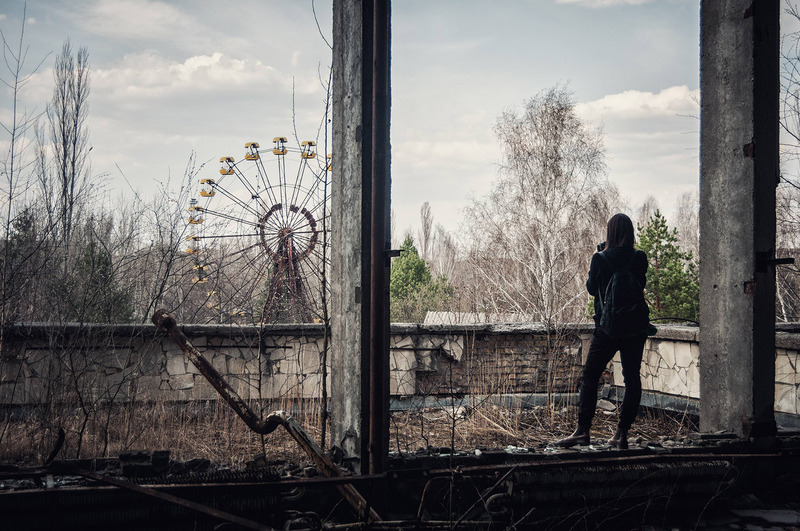 If you enjoy conspiracy theories, there is one claiming it was the Americans or the Israelis who blew up Chernobyl in order to silence the ever-annoying Duga. Or another saying that it was Duga that caused the nuclear meltdown. 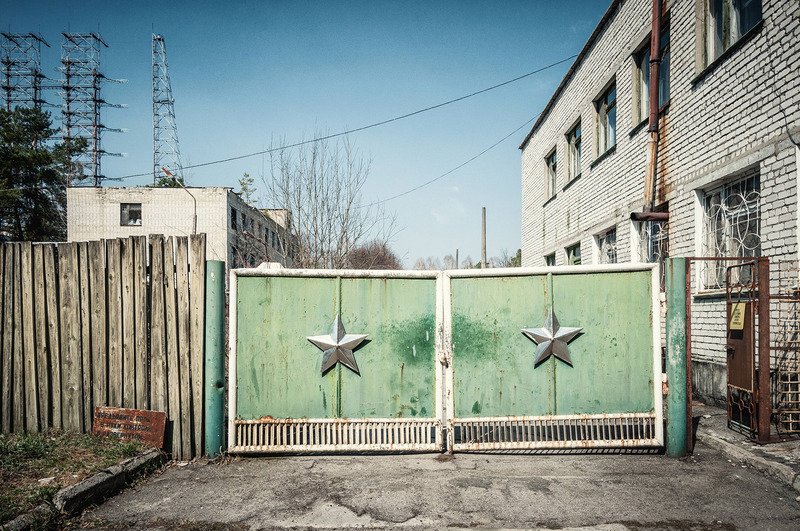 Regardless, the USSR soon fell, the Russians left their military toys scattered around the world and returned home, and the truth about Duga’s purpose finally came out. 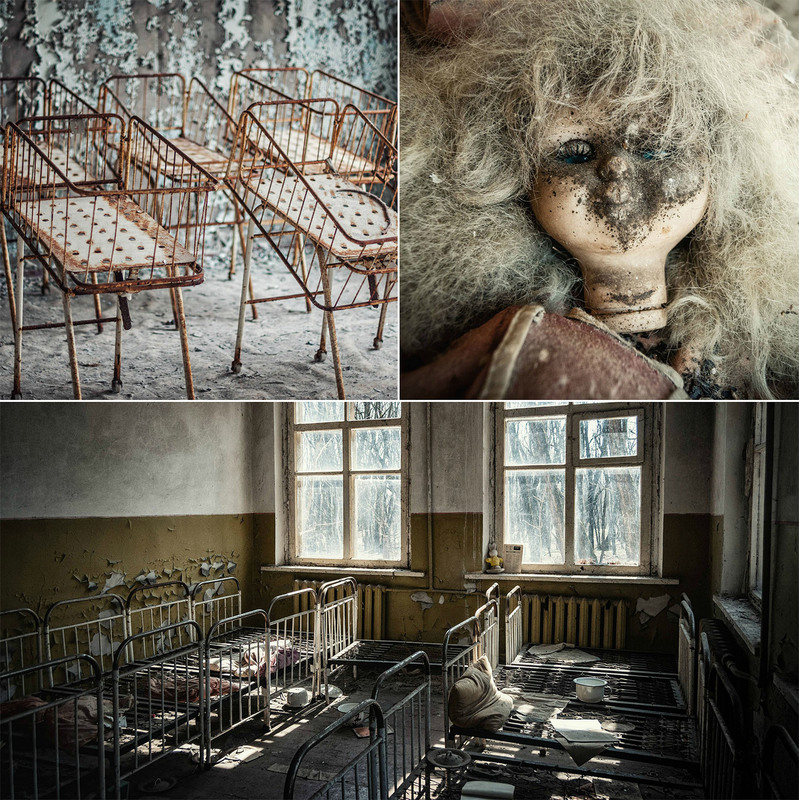 Even so, it was only in 2011, 9 years after the whole alienation zone was opened to tourists, that they allowed people to go and see the area around Chernobyl. Duga-1 still stands there, getting old and rusty. Allegedly, it cost twice as much as the plant, but it’s nowhere near as popular – despite having been featured in two well-known video games. It’s not much more than a monument to the Soviet defeat now, just pointlessly being there, silent and abandoned. Nobody wants it. You can climb it if you want, but even though they gave it a good washing, no decontamination process is perfect, so it could be dangerous especially if the rough surfaces were to cut your skin, and besides, it is Soviet steel you’re walking on. Perhaps nothing reaffirms its fall from grace and insignificance as the gate to the site  guarded by a lonely man and his friendly dog, bored out of its mind, that will gladly come over to you to say hi. 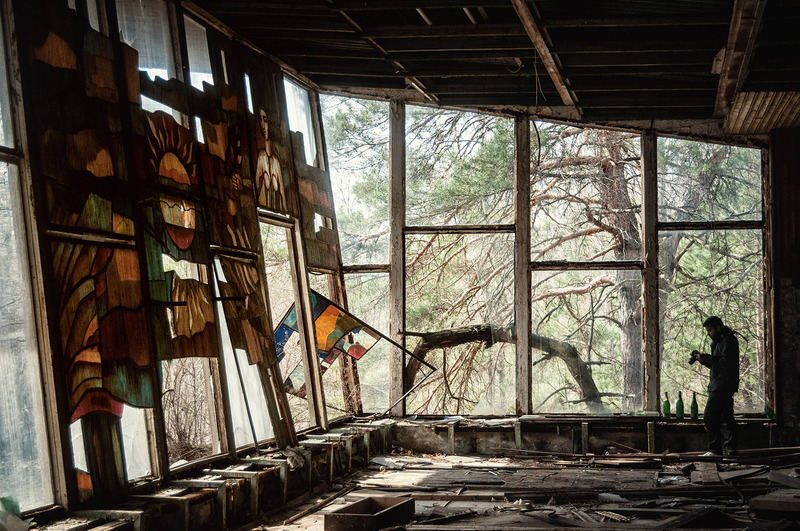 Editor’s Note: MichaÅ‚ Huniewicz is a Polish photographer, writer and software developer based in London. His shots have been widely featured, including in Daily Mail, The Telegraph, La Repubblica as well as exhibitions in Hong Kong or Brussels and Wyborcza.pl (largest Polish liberal daily). To stay up to date with his outstanding adventures and photography, please visit his website http://www.m1key.me. I totally fell in love with his works.